When it comes to preventing and even reversing ath­erosclerosis, most of the suggestions center around con­trolling your cholesterol. That’s because cholesterol makes up the main part of the plaque that sticks to blood vessel walls and clogs arteries. Cholesterol combines with two forms of lipoproteins to travel in your body: high-density lipoprotein (HDL) and low-density lipoprotein (LDL). Both contain fat and pro­tein, but LDL is mostly fat, while HDL is mostly protein. They also perform different functions in your body. HDL takes excess fat and cholesterol from tissues to the liver to be dismantled. LDL carries fat and cholesterol to your body’s tissues. Learn to love low-fat. Dr. Dean Ornish, author of Dr. Dean Ornish s Program for Reversing Heart Disease, recommends that no more than 10 per­cent of your calories come from fat. Even though this diet may sound difficult, it’s really very sim­ple. Just center your meals around fruits, vegeta­bles, grains, legumes (such as beans and peas), and soybean products. Stay away from high-fat vegetarian foods like avocados, olives, coconut, nuts, and seeds. You should also avoid all animal products with the exception of egg whites and 1 cup of nonfat yogurt or milk a day. Limit alcohol to 2 ounces per day or less and avoid caffeine, which can provoke stress. Fill up on fiber. Fiber helps bind up cholesterol in your intestines, preventing it from being absorbed and clogging your arteries. You need at least 30 grams of fiber a day. Grains, fruits, and vegeta­bles are all good sources. Dr. Mary Dan Eades, author of The Doctor’s Complete Guide to Vitamins and Minerals, recommends 50 or more grams a day. She suggests supplementing the fiber in your diet with a vegetable fiber bulking powder such as Metamucil or Citrucel. Add more fiber to your diet gradually or you’re likely to suf­fer from bloating, cramping, and gas. Take vitamin E to make life easier on your arter­ies. A recent study reported that men who took a supplement of 100 IU (international units) of vita­min E daily developed significantly less artery blockage than men who took less than 100 IU. Fight your thirst with fruit juice. Researchers have discovered that grape juice contains flavonoids that offer powerful antioxidant protec­tion, which helps keep cholesterol from damaging your artery walls. Grapefruit juice can also lower the level of cholesterol in your blood and improves the ratio of good cholesterol to bad. Grapefruit juice may also help you get rid of the fatty buildup, called plaque, in your arteries that can cause blockages. Eat more garlic. Eating as little as a half of clove of garlic a day reduces cholesterol an average of 9 percent, according to researchers at New York’s Medical College. It also lowers blood pressure and prevents the bad LDL cholesterol from being oxi­dized, which damages arteries. Since lower cho­lesterol means lower risk of fat buildup on your artery walls, a little garlic every day could do your body good. Limit foods that make your body produce insulin. These include refined starches and sugars, such as white flour, highly milled cornmeal, table sugar, corn syrup, molasses, and any products made using these items. High insulin levels stim­ulate your body to make more cholesterol — just what you don’t want. Get moving. Exercise is an excellent way to raise your HDL level. Jogging or walking briskly for 30 minutes three to five times a week will significant­ly raise your HDLs. Take time for tea. Green tea, and possibly black tea, may lower your cholesterol and improve your HDL to LDL ratio. Make sure you get enough folic acid. Homocysteine, one of the amino acids used to make protein, may also promote hardening of the arteries. Folic acid turns homocysteine into the amino acid methionine, which does not have this effect. Your best bet is to look for a B-complex supplement that supplies the RDA for folic acid, which is 400 micrograms (meg), and also includes other B vitamins. The B vitamins work best together. Feel vibrant with vitamin C. A recent study revealed that people who took more than 60 mil­ligrams (mg) of vitamin C a day, the recommend­ed dietary allowance, had the highest HDL levels. 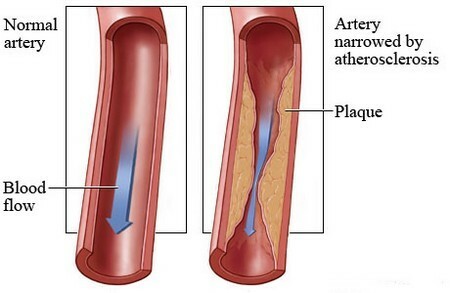 Crunch atherosclerosis with calcium. A calcium carbonate supplement lowered total cholesterol 4 percent and raised good HDL cholesterol 4 per­cent in a group of 56 people who took 400 mg of calcium three times a day. Zap the zinc. If you have a problem with choles­terol, don’t take zinc supplements. Zinc interferes with your body’s absorption of copper, which can lower good HDL and raise bad LDL. When pur­chasing a multivitamin, look for one that contains the least amount of zinc.